Indian Army deserves all the salute and praise as they toil day in and day out. They sacrifice their personal lives to ensure that we Indians sleep peacefully at home. Their rigorous training regimen and various activities which they conduct is nothing short of motivation for people of all age. Lt.Colonel Bharat Pannu who is posted in Nashik in the maintainence department of Army Helicopters has taken part and has achieved various accolades in ultra endurance cycling events. 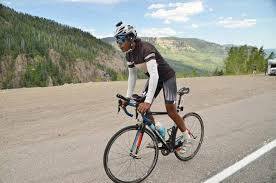 He has taken part in various ultra cycling races in India as well as abroad. He was also the winner of Ultra cycling 1000km race in India in 2017. He also stood third in the 2750km Ultra Cycling Race in 2018 which shows the dedication and fitness of Lt.Colonel.Bharat. He has also taken part in the 2200km Ultra Endurance Race in Austria. Till now his journey he has managed solo on his own expenses from his own savings and now he is planning to take part in 5000km Race Across America event where the challenge is to complete 5000kms under 288hrs. For this he has been training past 12months under professional coaches. Now he wishes to bring Armed Forces course-RAAM QUALIFIER to India which will not only boost the sport of endurance cycling but will also promote fitness all over India. The course requires funding of around 45lakhs to bring it to the Indian shores and Lt.Colonel expects support towards this cause. Let;s share this video as much as we can so that the right person can be tapped for this noble cause.